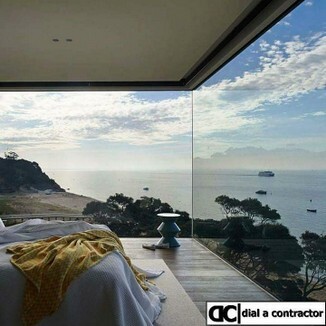 We represent some of the leading residential construction companies in the Cape Town area. 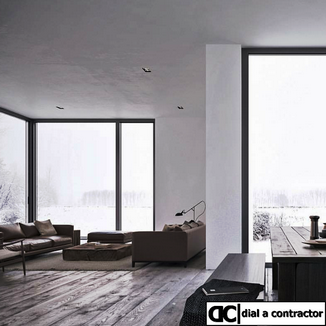 Our panel of contractors have years of residential & commercial construction experience. The contractors based ithroughout the Cape Town area and we service the whole of the Cape. Our area of specialisation is in the construction of residential homes, developments, extensions, and renovations. We're passionate about what we do, and with passion comes an uncompromising level of service, attention to detail and quality in every aspect of every project. DO YOU REQUIRE A BUILDING CONTRACTOR IN THE CAPE TOWN AREA? We can assist in Locating a Professional, Cost Efficient and Certified Builder in and around Cape Town. Locating a Professional Builder in Cape Town is as simple as giving us a call and we will send you three of our approved cost efficient builders. Many of the construction companies on our panel have years of experience in developing and building homes in and around Cape Town. When you build a new home experience counts and it pays to choose a builder with an NHBRC registration. We assign a project manager to guide you through every step of the process from the time you buy a piece of land, to choosing an architect to design your dream home, to selecting a construction company to build your dream. We are with you at every stage of the process to ensure the project is on budget and on time, according to your specific requirements. We will liase with the architect, engineer and builders to ensure that the project gets completed on time and complies with building codes. Contact us to discuss your ideas and let us help you to make your dreams become a reality. There are many methods to increase the value of a property, by example adding on an extra room, converting a single storey into a double storey or building a granny flat. These extensions create more space on your property and make them more functional. Alternatively in todays economy you may want to create a second income stream by creating an area to let out or building a home office. We can help you to create and convert unused space into usable space with a range of creative solutions. One of our projects managers is available to assist you from concept design, preperation of plans, specification and appointment of the right builder for your extension. Choose a professional for your home extension, why dont you give us a call today? If you are in the buy to let market, flipping properties or modernising an old house then we can help. 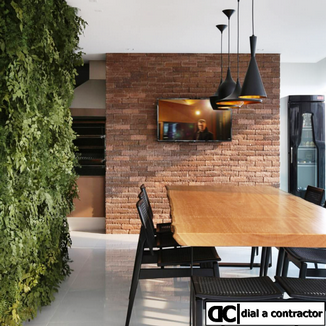 Whatever the renovation our project manager will help you to create a modern, stylish and functional home. We will ensure that all relevent building codes are complied with and we will be able to assist with all scopes including foundations, rebuilding of walls, reinforcements, floors, plastering, ceilings, etc. When it comes to properties like this where the emphasis is on finishes it pays to work with an experienced contractor and competent project manager. It doesnt matter what the condition of your house, the size or complexity of the renovation, you can rest well knowing your in safe hands. Give us a call if your looking for an experienced Cape based construction company. Unfortunately the average skill level of bricklayers in the Cape has dropped considerably so choose your bricklayer carefully. You can hide a skew wall with plaster but when it comes to facebrick walls you need to work with the best. Whether your looking to have a new brick wall built, need an extension or need any alterations to your property, you can guarantee that with our quality brick laying skills you will have the job done in no time at all. Give us a call today and talk over your plans with a member of the team. Every house moves and settles in and with this movement cracks develop in your walls and floors. The extent of the movement may depend on whether you built on sand or rock, what size and type of foundations you used, etc. Our experienced plasterers can skim, fill and plaster walls taking out any flat spots and filling cracks so that they look like new. Call us immediatly for a quote. In the Cape wind and rain are a fact of life so waterproofing is not an area that one should be taking chances with. Special attention should be paid to roofs, foundations and balconies. 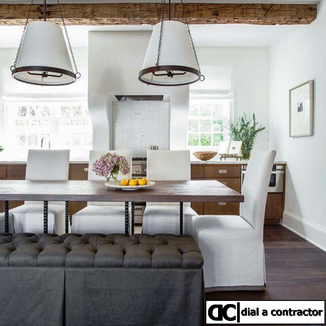 Skimp or use the wrong contractor at the design phase and you will sit with problems for years to come. It is very difficult to repair a design flaw so work with the best, work with an approved building contractor and get it right first time around. We are experts in all forms of waterproofing from simple to torch on applications so give us a call today.